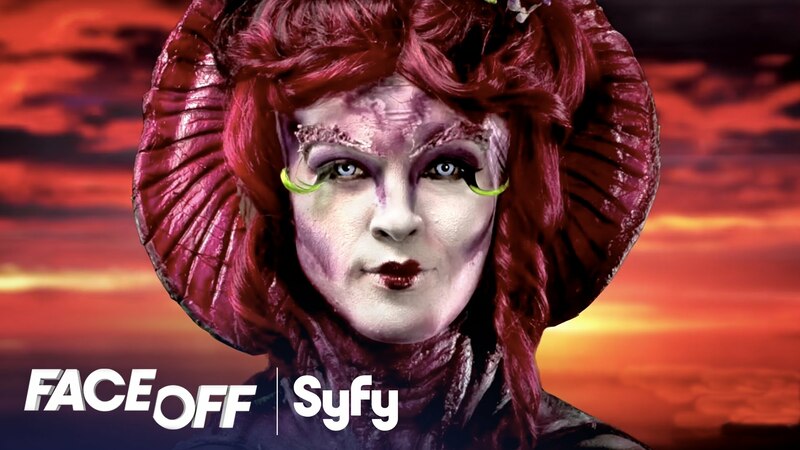 *For Michele and The Kid, Two of My Favorite Nerds For the past few years when the entire Matthews Family band can gather together, we try to catch an on-demand episode of Face Off, a SyFy network special effects makeup competition. The show has made me both more aware of the creations and more appreciative of what folks go through to create believable science fiction productions. It’s hosted by McKenzie Westmore, an actress who played the leading romantic heroine on the soap opera Passions. She has her own cosmetics line, but it’s not a vanity project, it’s a family tradition. Her father Michael is the third generation of the Westmores to be a ground-breaking makeup and special effects designer. He has an Oscar for the Cher movie, Mask, nine Emmys, and he invented the look of both the Ferengi and Borg. On Face Off, the elder Westmore acts as creative and structural mentor to the contestants. During the Star Trek Voyager episode I was watching, there was a scene with Seven of Nine. Seven had for many years been a Borg, a frightening race that can best be described as a cross between a cyborg and a zombie. She’s been rescued, and most of her cybernetic implants have been excised—but a few were impossible to remove. She has a prominent one on her forehead. I’m not sure how Borg facial appliances might look, but Seven’s device seems completely authentic. It absolutely looks right. And Michael conceived this, carved it, and painted it. Because of Face Off I know about this process. I’ve seen it push many contestants to the breaking point. I’m sure Westmore agonized over the design and sweat blood to bring his idea to fruition. But there were a couple of things during Voyager that made me yell at the TV in frustration. My loudest hollering and most colorful language was reserved for flashlights. Neelix, the Jar-Jar Binks of the Star Trek universe, using a Voyager flashlight. Every time our intrepid crew show up unannounced at some Borg frat party gone wrong and need to light the dark ship they break out a rectangular light with a wrist band, roughly the size and shape of a big angular plastic corsage from some nightmarish, dystopian prom. I’ve seen your flashlights. You must admit, they kind of blow. I know you live in the 24th century, and I’m just from 2018, but I have a couple of ideas. Maybe wear the light on your head like a hat, on your face like glasses, on your shoulders secured to a hook on a piece of clothing. Heck, it’s the future, maybe have it hover next you? 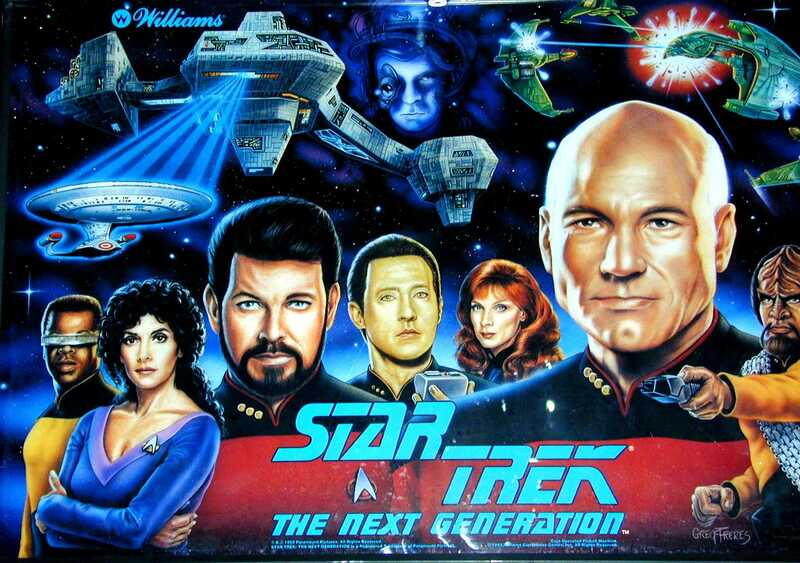 Jean Luc, I googled these today, in the 21st century. Imagine what you might google. Or, get Data’s and Geordie’s heads together one weekend after brunch and have them go all 2369 AD on it, and come up with some flashy, scifi solution. How about eyedrops that luminesce and safely project light from the iris, or something future-y like that? Thanks for your time, Captain. Trek on! Maybe one day I’ll reveal my thoughts while watching a beloved fantasy/scifi program, Supernatural. But there won’t be anywhere near as much cranky bellyaching. Those Winchester brothers are so darn adorable they make everything all right. You know, maybe I shouldn’t relay my thoughts while viewing those pretty, pretty boys…not everything that pops into my brain box needs to be publicly shared.